TORONTO – Owen & Company, the Canadian producer of the Kingsdown mattress brand has acquired Zedbed, a relatively small Quebec-based manufacturer of eco-friendly memory foam mattresses, motion bases and other sleep products as part of its aggressive growth plan to increase its market penetration and broaden its luxury sleep product offerings across North America. Owen & Company, more commonly known as Kingsdown Canada, entered into a strategic partnership with Novacap, a Montreal-based private equity firm in April 2017. 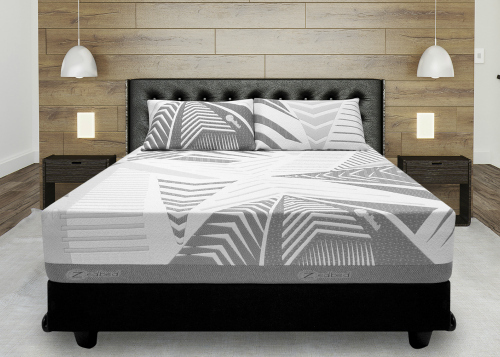 In a statement, Owen & Company noted that with three manufacturing facilities located in Shawinigan, Québec area, Zedbed is a highly innovative company, one of the few mattress manufacturers to be vertically integrated in making its own unique soy-based memory foam. These proprietary foams allow Zedbed to offer Made-In-Canada foam products to its customers that no one else can replicate. The terms of the acquisition were not disclosed, although Owen & Company said its long-term goal is to become a prominent leader in the North American mattress market. “The acquisition of Zedbed is an integral piece to the puzzle, with its world class research and development capabilities as well as its vertically integrated manufacturing facilities in Québec,” the statement said. Mario Gélinas and the other remaining members of Zedbed’s executive team will join Owen & Company. In addition to Kingsdown, Owen & Company also produces mattresses under the Bassett and James & Owen labels. Founded in 1981, Novacap is a leading Canadian private equity firm with $2.3 billion of assets under management. In addition to Zedbed and Owen & Company, Novacap also has an equity position in Bestar, the Lac-Megantic, Quebec-based manufacturer of ready-to-assemble furniture.